The thought of a government "saving money for a raining day" terrifies me. Governments make contentious and sometimes just wrong spending decisions when there are normal fiscal pressures on them- the thought of a government minster justifying diverting funds to a mismanaged, poorly invested savings pot doesn't bear thinking about. Unfortunately while your information is correct you interpretation is faulty. In Norway you do indeed pay for your prescriptions, doctor consultations, etc, etc. However, this is NOT a result of establishing the oil fund. The Norwegian system was established long before oil was even discovered and is based on the principle that everyone should pay their way according to their means. Those who for one reason or another are unable to pay their "egenandel" do not do so. The supposedly Norwegian perspective is in all probability not. The article appears to be as good an example of desinformation as I have seen to date. It seems evident that the author of the article has English, not Norwegian, as his/her first language. There are also other tell tales that the author is a British unionist and not a Norwegian. I have yet to meet a Norwegian who would refer to Oslo as a small city. Nor would a Norwegian claim that there are "thousands" of homeless in Oslo (the last report from 2012 found 1376). Nor have I meet a Norwegian who in any way is as envious of the UK in the way the author is. It seems strange that in country where the majority are unaware of the referendum in Scotland, there should be someone who takes the time and effort write such an article. I have no doubt that to someone ignorant of life in Norway and Norwegians in general, the article might appear genuine. Of course I could be wrong and the article was indeed written by a Norwegian. You choose to play down the OECD index. Despite all of Norway's faults (there are many believe me), the people living there are strangely happy about living there....Homesick as I am at times, I would have to be an absolute moron to want to move back home to the UK. You are quite correct in that Norway has made some tough choices. Choices that were not universally popular. The UK too has made some tough and unpopular choices. The difference lays in that Norway seems to have made the RIGHT choices. First off, I would like to thank you, Kevin, for writing an thoughtful and reasoned blog, something I have struggled to find from many on the NO side of the debate. That said, I am a YES voter so there is much I disagree with here ;). I have to add my voice to Labhrainn's and say I think that 'Norwegian blog' you link to is not written by a Norwegian. I can't say for sure but I have spent a bit of time in that country (just back from a lovely weekend in Oslo as if happens!) and worked with Norwegians and it doesn't ring true. Having read several of the post on that site (in the hope of finding a decent NO blog to engage with) I found several glaring misinterpretations of the Gini coefficient and figures so eventually concluded that whoever the blog's author was, they weren't very smart or were being deliberately misinforming. I too looked at the Numbeo site and saw how expensive Norway is compared to Scotland (and can attest to that after my weekend) but the thing is, the Norwegians can afford it. I hope you will be willing to read this article for some reasoned consideration of the relationship between Norwegian income and tax http://wingsoverscotland.com/deal-or-no-deal/ but the short version is that while they do indeed pay high tax, they take home more money than we do and have way more disposable income. I would take that option if I could and am, in fact, considering moving to Norway or Switzerland in the event of NO winning the referendum. The Point you make about the oil fund is valid , as Norway , has had to make serious decisions about its public expenditure , which we would consider "severe " in the UK . 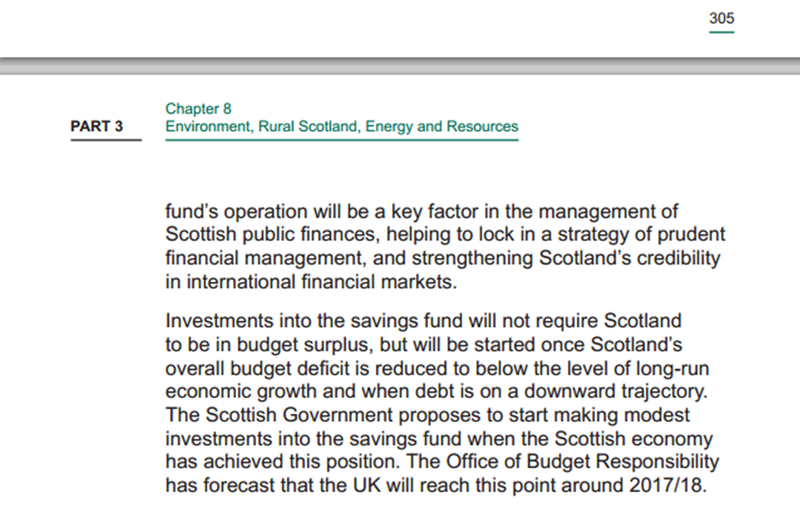 They have decided to treat their oil revenue as a "windfall " , and life within their means , without dipping into it . We could for instance adopt their payment plan for Medical services , and instead of putting the fees back into the NHS , build up a similar pot , an "NHS Fund " , which would hold us in good stead for the future . Trouble being the SNP would have a job getting "pay as you go NHS " to work in Dundee , let alone the rest of Scotland , they can't after-all , get a 1% rise in income tax out of us . Or simply don't want to risk their popularity and votes , on such radical policies . And that says a lot for us all really , if 50% of the popular vote , leaves you immobile , unable to force through a measure , what good is being in power ? and how would you do anything else . Its as if majority Govt is the new "ineffective " .